Learn the new location for the Prison of Elders escapee with our guide to find Destiny 2's Wanted: Gravetide Summoner bounty. Players hoping to track down the latest Spider bounty sets in Destiny 2 are once again wondering where to find Gravetide Summoner inhis hiding place in a Lost Sector. Yes, he’s managed to escape the Prison of Elders yet again, but it’s a great chance to boost your power level so be sure to complete it while you can. You can grab this bounty for a few Ghost Shells from Spider in Tangled Shore, so buy it and we’ll be ready to set off and complete the Wanted: Gravetide Summoner bounty in Destiny 2. Wanted: Gravetide Summoner is a bounty that’s cropped up quite a few times in Destiny 2, and it shouldn’t be much more difficult to beat this time round. As before, he’s holed himself up in a Lost Sector, this time in the Cargo Bay 3 in The Rig, Titan. To get there, start from The Rig spawn point, jump up to the higher platform by the boxes on the left, then stick to the left on the level you’re on, close to the barrier for the ocean edge. After you go down the steps, look for a platform over the edge of the barrier on the left side. Drop down to this and you’ll see the entrance back underneath the direction you came from. Once you’re inside the Lost Sector, start the adventure, then blast your way through the Cargo Bay 3 Lost Sector until you reach Wanted: Gravetide Summoner. Before you can hurt him you’ll need to kill the Ogre nearby, so focus on that first. If you’re having trouble, taking out the yellow enemies will grant the Ogre’s Fear buff which should make things a little easier. Once they’re both dead you’ll have completed the bounty and will be able to earn some Powerful gear as a reward, lovely stuff! If you’re unsure on where to go, the video below by WoW Quests should help you out. Now that you’ve found Wanted: Gravetide Summoner you might be after the other bounties available right now, so check out our guide for where to find Irxis Partisan in Destiny 2! 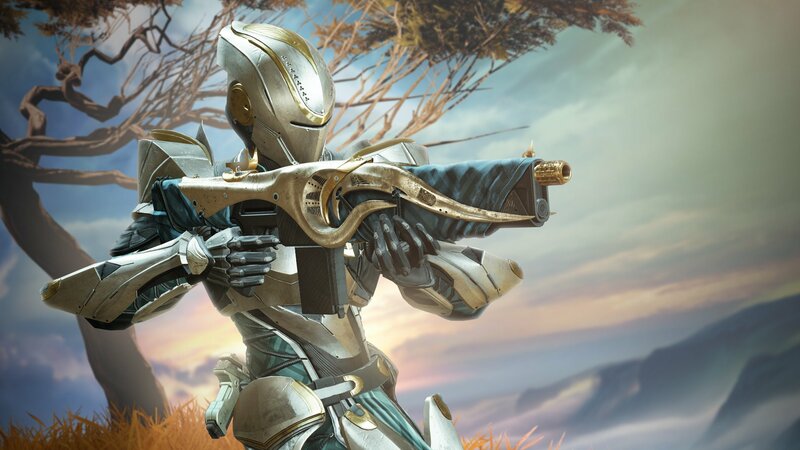 Otherwise check out the rest of our Destiny 2 coverage to see all the guides we have available.